So you've convinced me! I have this thing that the chart needs to be what it is... and I love the concept of a calendar but I love the design with or without the January so I think after Christmas I might look into buying it and changing it a little to suit me. It looks like such a pretty series. To answer a question that came up... 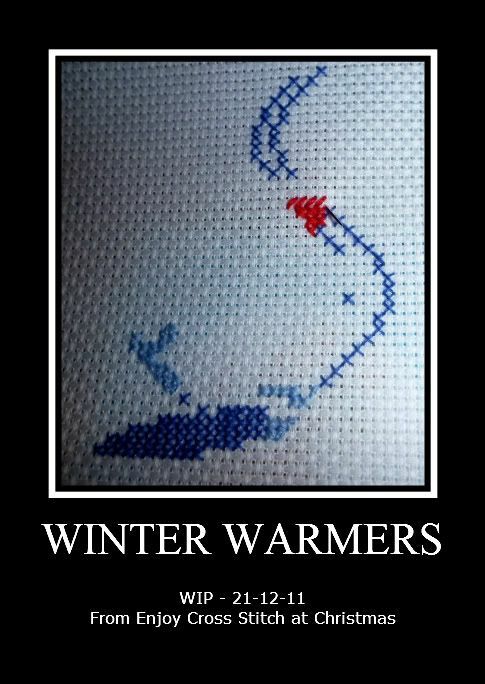 I don't know of any calendar series for this part of the world but I am thinking of fiddling and seeing what I can make. 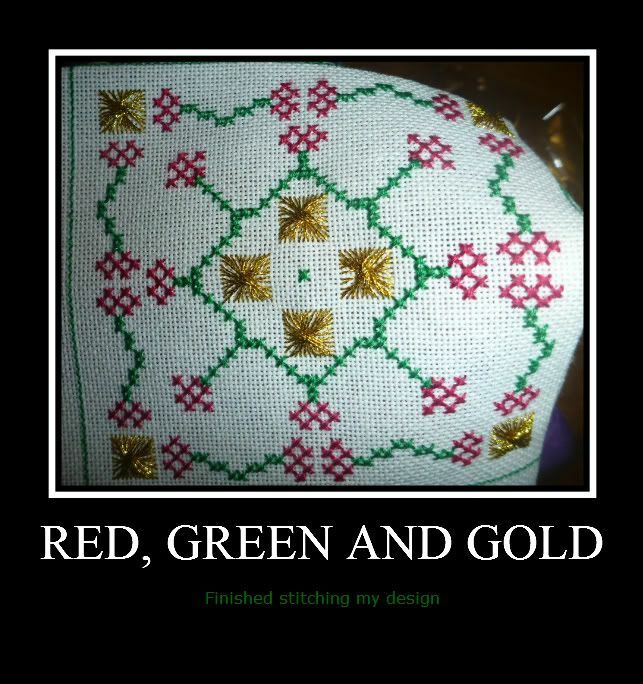 I do have a couple of little progress pics I haven't been feeling really good so I haven't been stitching much. Both sides are finished and I've started to sew them together which is why it's wonky. 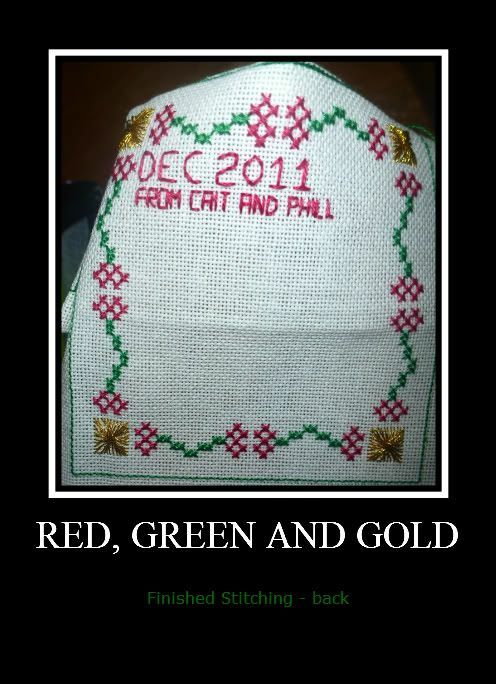 I've also started one of the free gifts from Enjoy Cross Stitch at Christmas 2011. 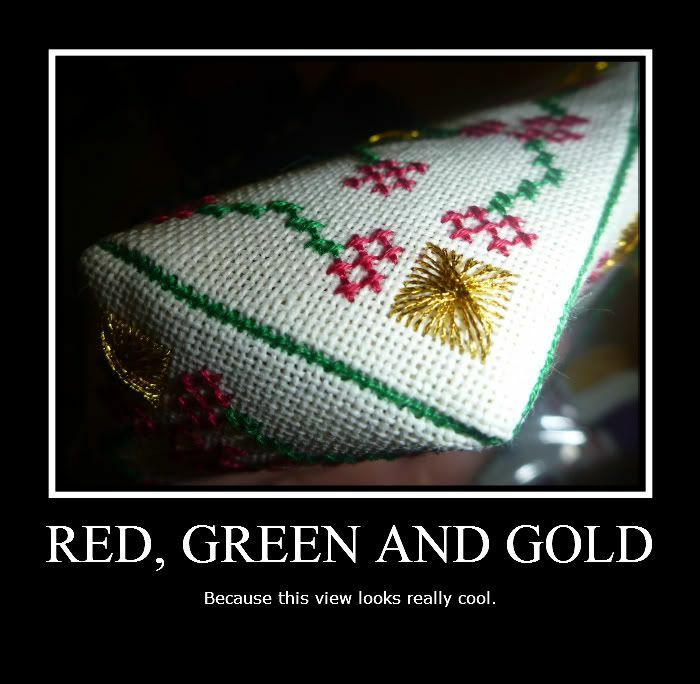 Phill reminded me about his brother's girlfriend and how I hadn't made anything for her yet. So here is a start on her gift we see her on friday so we'll see how it goes! I'm not feeling at all well so I really don't know. Cute colors in Winter Warmers. Feel better!! great progress..it is looking so lovely..
Looks pretty! Merry Christmas and a happy New year!